2016 was certainly a particularly successful year for Bordeaux City Bond in terms of communication, ranked in the Top 25 by Twitter for Vinexpo Hong Kong. 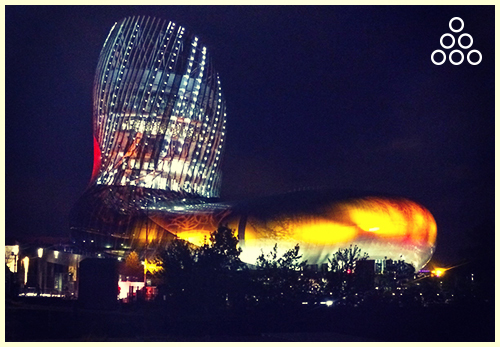 The image of Bordeaux City Bond travels the world and is widely recognised. In Asia, the specialist in bonded storage for Grands Cru wines no longer needs any introduction; the major importers already know us. For the event, Virginie Calmels, deputy to the Mayor of Bordeaux, Alain Juppé, Agnès Grangé, Delegate General of Groupe La Poste, and Emmanuelle Ripert-Chollet, Director of Economic Development for Bordeaux City Hall and Bordeaux Métropole, visited the Bordeaux City Bond stand to meet our President, Mr. Philippe Dumand and Managing Director, Mrs. Mélusine Ampe. A visit that also included a very interesting discussion on new technology and the IoT tools applicable to the wine business. 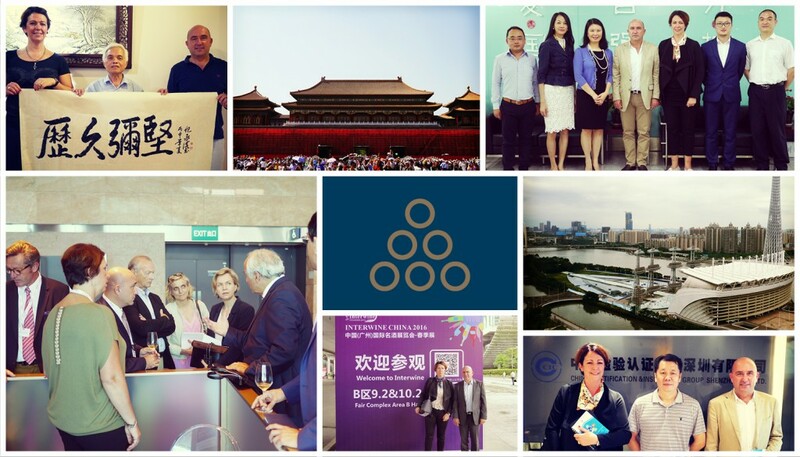 Mr. Philippe Dumand and Mrs. Mélusine Ampe were able to use their success in the Far East as an opportunity to discover the major Chinese cities of Guangzhou, Shenzhen and Beijing. Several important projects are already beginning to take shape as a result of their trip. The Cité des Vins was inaugurated on Wednesday 31 May in the presence of the French President, François Hollande.Bordeaux City Bond is proud to be presented on an interactive tablet at the end of the permanent tour “Bordeaux: the city and its wines”, 21st century section. Following to the new regulation regarding the maritime transport, more than 200 nautical miles, which will take effect from the 1rst of July 2016, Bordeaux City Bond will undertake to pass the Verified Gross Mass “VGM” (masse brute vérifiée) on to the chartered shipping companies. As a French national, working in wine sales in England, why did you choose BCB to store your wines? “Historically a significant part of the wine trade transits via the United Kingdom or is stocked there. Today, being an English company, we could simply have continued to work exclusively with the network of bonded warehouses in England, but it seemed rather counter-productive to bring a wine from Bordeaux to England for storage, particularly if it was intended for sale somewhere other than in the UK, the Far East for example, or the United States or elsewhere in Europe. So for greater efficiency, and to reduce our costs and carbon footprint, we were looking for a logistics partner that we could use as a base in the Bordeaux region. Given its reputation, we had no hesitation in contacting Bordeaux City Bond and its team to extend our network in Europe. We were then able to offer our clients the opportunity of storing their wine and then shipping it to the Far East, for example, without having to transit via England”. What impact could BREXIT have on a company such as yours? « L’impact du Brexit (Britain Exit) sur la livre sterling a été immédiat avec une dévaluation de plus de 10% de sa valeur au lendemain des résultats officiels. Cela veut dire deux choses : le large stock existant en Angleterre va se vendre plus facilement et plus vite (on entend déjà parler de volumes de ventes en nette hausse) mais une fois ces stocks épuisés, les marchands anglais vont beaucoup moins avoir tendance à stocker et opérer d’avantage en flux tendu. Les producteurs français ne se reposent pas sur le seul marché anglais pour vendre leurs vins, l’Asie est le premier acheteur de vins ce qui fait que certes il y aura un impact sur les volumes de ventes global (si un acteur réduit sa demande il y a forcément un impact sur les volumes et prix du marché) mais je pense que ce manque à gagner sera en grosse partie compensé par un plus gros trafic vers l’Asie ». How is your company facing up to an event such as this? “Our company is ideally adapted to profit from this redirection in flows: by having an account and therefore being able to stock, carry out transactions and reduce transport costs by avoiding transiting via England, and also by offering our clients an opportunity to buy and sell directly in 6 different currencies with the exchange rates being up-dated every 2 minutes. Our platform has been built to ensure security and reduce the risks linked to exchange rate fluctuations. Despite the shock of the Brexit announcement and the shake-up caused, the English and world are realising the enormity of their decision, and we are hearing more and more voices calling for an about-turn. It remains to be seen which British political leader will want to take the responsibility of triggering Clause 50 and thus set in motion the procedures to leave the European Union”.